To satisfy the needs of different customers, we incorporated Sri Majutex Sdn. Bhd.as the textile trading division, to provide high-quality fabric wholesale services as well as fabric import and export from/to foreign countries such as China, Hong Kong, Taiwan, and Indonesia. Perniagaan Leng Huat was then restructured to become a retail division, mainly provides custom-made curtain, bedding products and fabric for home and commercial use. 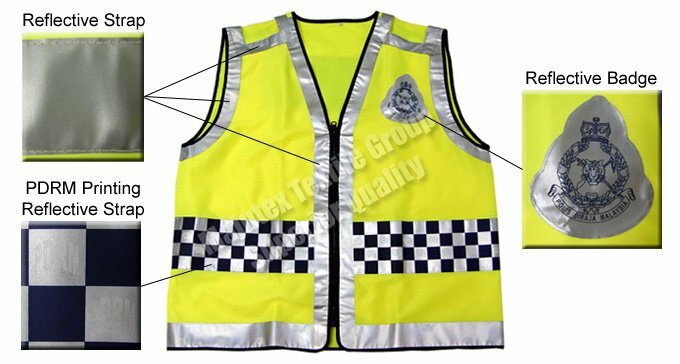 Unbelievable price on POLIS Safety Vest in Bukit Mertajam (Malaysia) company Sri Majutex, Sdn. Bhd..
© Sri Majutex, Sdn. Bhd.